Permuted Press, the premier U.S. horror, zombie, and science fiction publisher, unleashes the gripping independent book LUCID, created by Jay Bonansinga, New York Times bestselling author of THE WALKING DEAD: DESCENT. LUCID is a mind-bending, contemporary supernatural thriller for Young Adults available today in print and ebook formats. Lori Blaine is not your average 17-year-old high school student. 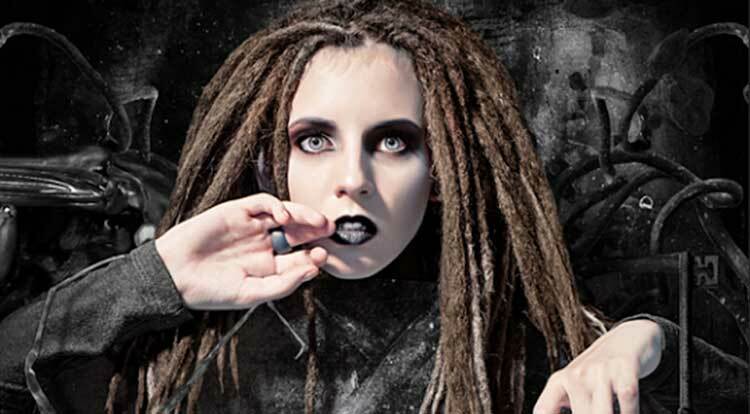 Cool and iconoclastic in her dreadlocks and natty thrift shop garb with an IQ that’s off the charts, she is the ersatz leader of a pack of Goth kids who circle around her in the halls of Valesburg Central like a school of pilot fish. Lori speaks softly, but when she does speak, people tend to listen. But Lori Blaine has one problem: The door. Lori’s dreams are haunted by this strange, recurring symbol. The door is always there on the periphery…beckoning her, daring her to see what’s waiting on the other side. Finally, at the urging of an overzealous school psychologist, Lori Blaine decides to face her fears. And that’s when the trouble starts. The next night she goes through the door in her dreams…and immediately plunges into a shattered glass world in which nothing is at is seems and evil lurks around every corner. But when Lori fights back, all hell breaks loose. 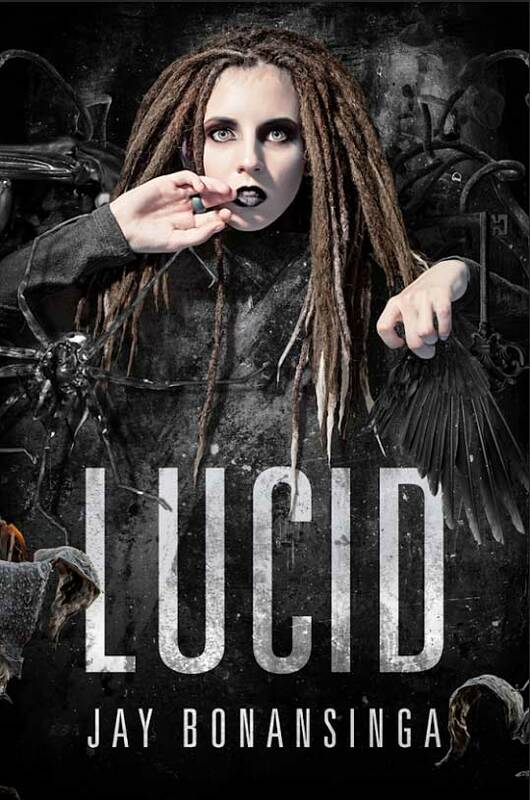 LUCID appeals to both teens and adults alike, and is available for $15.99 in print and $7.99 in ebook format. The print version will be available at Amazon and Barnes and Noble. Digital versions will be available on Kindle, Nook, iBooks, Kobo and GooglePlay. Jay Bonansinga is the New York Times bestselling author of twenty-two books, including the Bram Stoker finalist for THE BLACK MARIAH (1994), the International Thriller Writers Award finalist SHATTERED (2007), and the wildly popular WALKING DEAD novels. Jay’s work has been translated into 11 languages, and he has been called “one of the most imaginative writers of thrillers” by the CHICAGO TRIBUNE. Jay’s 2004 non-fiction debut, THE SINKING OF THE EASTLAND, won the Certificate of Merit from the Illinois State Historical Society, and is currently the primary source for the acclaimed musical “EASTLAND” at the Tony award-winning Lookingglass Theater. He lives in the Chicago area with his wife, the photographer Jill Norton, and his two teenage boys, and is currently hard at work on the next Walking Dead book in the Woodbury quartet. You can find Jay online at http://JayBonansinga.com. About Permuted Press Permuted Press was established in 2004 with a modest goal: to produce a single-high-quality zombie anthology titled The Undead. From this simple goal grew a publishing company that has published more than 100 titles, targeting the apocalyptic, post-apocalyptic, and survival horror fiction markets, establishing its rightful place in the apocalyptic niche. Permuted’s greatest successes include Plague of the Dead by Z.A. Recht (originally published online), John Dies at the End by David Wong (now from St. Martin’s, movie coming in 2013) and 14 by Peter Clines, and The Infection by Craig DiLouie. Learn more about Permuted Press at http://permutedpress.com.